My son Joseph works for APPLE and is one of their "Geniuses" Yes, he makes his Baby Boomer Dad feel pretty dumb when I ask questions about Social Media and how to work my MacBookPro. I utilize Facebook, Twitter, Linkedin etc. and run my website jjusa.org. As many of you know the "information highway" in cyberspace is full of a Zillion sources of ideas, opinions, philosophies, propaganda, good information and much bad, disinformation. Like you at times I can be inundated with "information" that claims to have the latest titillating scandalous scoop on our political opponents. Conservative Readers Beware! How are Americans to discern where the "Truth" is in today's plethora of information sources, from blog articles, media outlets, think tanks, advocacy groups, etc. ? Much if not most of what is out there is rubbish! 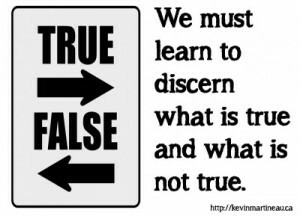 In my classroom I always stress "learning to discern" "trusting but verifying" and "not rushing to judgment" without first doing a thorough investigation of the alleged facts. It is easy to jump on the latest "fact " bandwagon declaring they heard Barack Obama say this or that Nancy Pelosi said that only to find out later "Conservatives" were telling lies about them. You should see some of the unprofessional, poorly researched and fabricated crap that is sent to me by well meaning Patriots who failed to verify the garbage sent to them before they forward it across America. 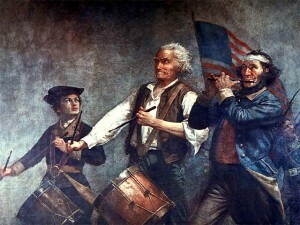 The latest one sent to me was the Conservative claim that Senator Barack Obama appeared on Meet The Press, September 7th, 2008 claiming he wanted to replace the Stars and Stripes with a new Flag and our National Anthem with the song "I'd Like To Teach The World To Sing." That silly claim itself should have been a "Red Flag" alert to verify the alleged Meet The Press statement by Obama. FACT: This claim or charge against Obama never happened! We have enough corruption, deception and lies going on in Washington D.C. by Obama and the Left without having to contend with Conservatives fabrications, lies and deception. There are many silly and or very sophisticated claims and charges out there that are accepted hook line and sinker by good conservatives who should know better and must be more disciplined to know better. 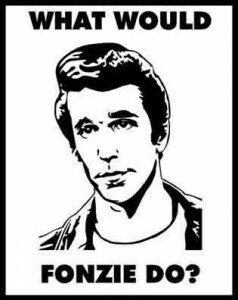 It is human nature to apply the "Fonz Syndrome" when we are confronted with information or facts that prove us to be in error. If we are intellectually honest we should willing to admit we were "wrooo-nnng" and then move on to defend the Conservative cause with as much accuracy and truth as humanly possible. On occasion when I too have been guilty of rushing to judgment or drawing poor conclusions and I have had to admit plain and simple, I was wrong. It is ok to readjust your thinking if facts determine a more truthful and wise way to accomplished your ultimate goal. Truth must be our ultimate goal. We must all strive to be as accurate and truthful as possible when we as Conservatives confront and battle Big government advocates in Washington D.C. When a Conservative group distorts, perverts, and or exaggerates an issue I am just as upset if not more so than when a Progressive-Liberal group does. We should know better. We must have a Standard of Truth and integrity above the Left otherwise we will never win our righteous Constitutional conservative cause. Some Conservative and Tea Party organizations dear to my heart have on occasion rushed to judgment and or distorted information to persuade Americans on an issue and or to bring money into their coffers. This is what the Left is all too often guilty of and should not be the mode of operation for the Right's righteous cause. Knowing the Truth with clarity and accuracy is not easy. It requires study, research, discipline, discernment, and investigation. In our hurried world today too many of us rely on sound bites, talking points or an Internet article or two to shape our conclusions on very serious issues. This does not nullify our Constitutional Conservative cause. However, honesty not only clarifies our cause, it solidifies the integrity of our arguments before man and God. We must strive for Truth not "Party" or "Group" loyalty done with stupidity. As a historian I have trained myself with this Golden Rule and I want to encourage my fellow American Conservatives to apply this rule in your research and articulation of Constitutional republican values. If you do, then when you discuss and debate the issues you will have the confidence of Truth within you and besides you fighting as a righteous Warrior for Liberty!